A few weeks ago when I was planning for our 14 Days of Valentines I raided the party section at Target found these cute plastic mazes. I knew that they would be perfect to turn into a valentine! 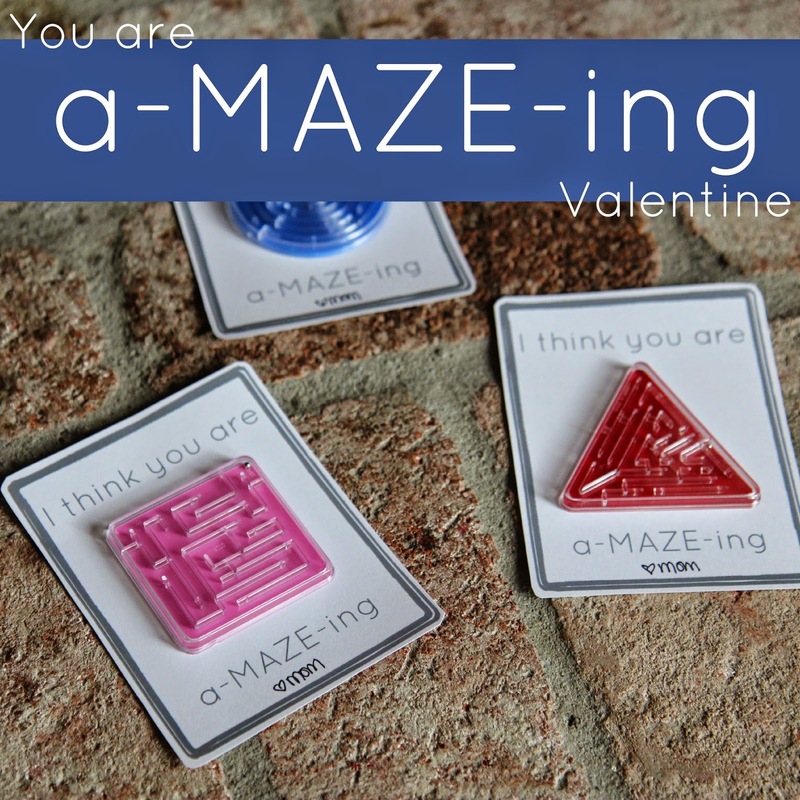 Today I gave my kids this simple "You are a-MAZE-ing" Valentine as part of our 14 Days of Valentines (we're on Day 9) and they loved it! The toddler loved just shaking it around and making noise while my bigger kids had fun trying to actually get the little ball through the maze. These notes would be really easy to handwrite but you can also download my free (very simple) printable below if you don't want to make your own. For these valentines I just used plain white cardstock, my paper cutter, colorful mazes, and double sided tape. 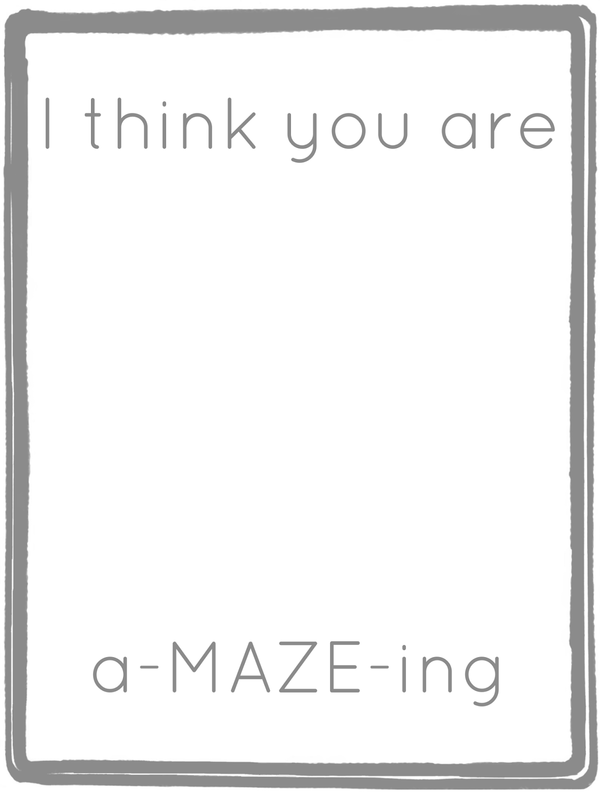 To get started you'll want to download my free "You are a-MAZE-ing" printable HERE. Next you'll want to print these out on white cardstock and cut them out. Lastly you'll want to tape the mazes onto the valentine using double stick tape to help keep them secure. Once you're done you are ready to hand these out! 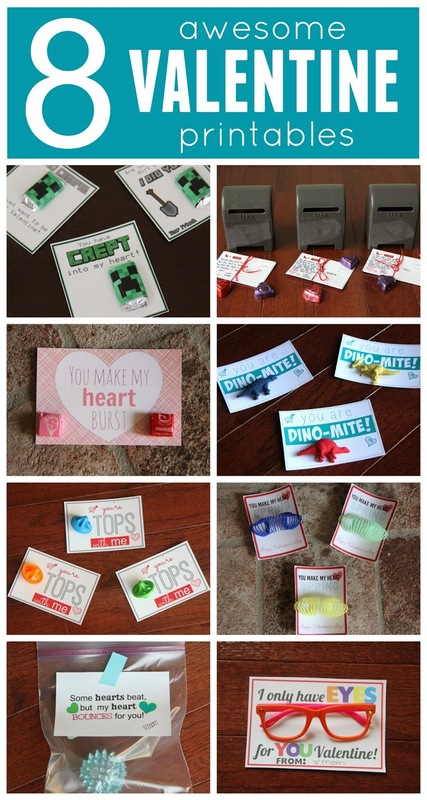 Have you (or do you plan to) give your kids any valentines? I'd love to hear about them!! If you missed any of the valentines we've shared so far on our 14 Days of Valentines series you can check out all the previous eight below. The printables are included in each linked post. Need more Valentine's Day ideas? Head on over to our Valentine's Day pinterest board! We have hundreds of ideas curated for kids ages 0-6.